Does your students' poor performance on class tests keep you up at night? Do you find yourself wracking your brain, trying to figure out how the same students who seemed to understand what you taught yesterday now can't seem to remember any of it? Do you stress for months prior to a large-scale standardized test that your students have to take because you fear that they will perform poorly on it? If any of these experiences sound familiar, you're not alone. These are some of the most common complaints and fears experienced by teachers everywhere. But don't despair; there is hope! Cognitive scientists have been delving into the mysteries of human memory for over a hundred years now, and we know more today about how to teach students so that the material actually "sticks" than ever before. Today, I want to talk just a bit about one of the easiest ways to radically boost your students' memory of the material you teach--incorporating mnemonics into your teaching. 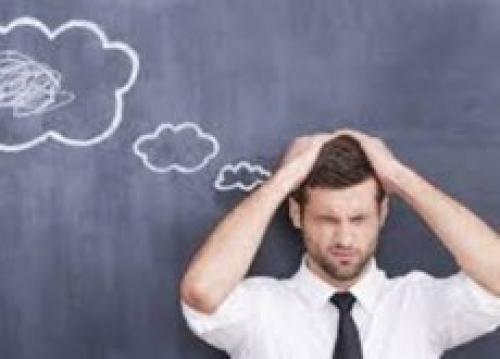 For teachers who are struggling with the issues I mention in the first paragraph of this article and who have yet to start making changes in their instruction, incorporating mnemonic strategies into their teaching just might be the simplest first step they could take to improve their students' performance. Why? Well, first of all, because it's easy. You could look at the unit you're currently teaching, identify the most important pieces of information and the key understandings, and create mnemonics for that material in an hour or less. Second, most students enjoy learning mnemonics, so you will also see a bump in engagement in your classroom when you start teaching the mnemonics to go along with the key information and ideas from the unit. And the uptick in engagement will also help your students encode the material you teach better because their attention will be more focused. · Finally, you teach the mnemonics to your students. Let's look briefly at each step. The first step is very important. You don't want to try to create mnemonics for everything you teach. Let's face it, there are crucial facts and key understandings that you want your students to learn and retain long-term, but there's also some "fluff" in every curriculum. You don't need to create mnemonics for everything, so your first step is prioritization and selection. Identify those facts and understandings that truly are crucial. If you have more than 3-5 in a unit when you are done, you're probably not being critical enough in your selection process. Besides, you can't teach mnemonics for everything because it would take too much class time. Remember that it takes a little time to teach the mnemonic, and this is in addition to the time you spend teaching the actual material, so there's always a trade-off. You need to make sure that any class time you take to teach a mnemonic is worth it--which means you need to save your mnemonics for the really big ideas and information. OK, once you have identified the crucial information and ideas you want to make sure your students remember, now it's time to create the mnemonics themselves. And the tricky thing here is to make sure that the mnemonic strategy you choose matches with the material. The best way to explain this is to give a few examples. Let's say that you are teaching foreign lanugage vocabulary. A good approach here would be to choose several important words that are either frequently used words or words that will unlock many other words built upon the same root word. Once you've selected several important words that you want to create mnemonics for, you want to choose your mnemonic strategy. In this case, keywords are probably the best choice. A keyword is a word in English that your students already know that sounds like the foreign word you want them to remember. For example, let's say you are teaching French, and you want your students to remember the noun monde, which means "world" or "people." Monde sounds a bit like the English word "mound," so you can use "mound" as a keyword to remember monde. Now, the real trick that makes keywords work is to create a visual image that ties the two words together. In this case, you could instruct your students to visualize a "mound of people" stacked on top of each other. Students hearing the word monde will see this mound of people in their minds and remember that monde means "people." Now, let's say instead that you are a science teacher and you are teaching the steps of the scientific method. There are slight variations in the wording used by different people for the steps in the process, but for this example I will use this terminology: 1. question, 2. research, 3. hypothesis, 4. experiment, 5. collect data, 6. graph/analyze data, 7. draw a conclusion and communicate that conclusion to an audience. Obviously, keywords would be a bad choice for this information. Instead, you might want to use an acrostic sentence, which takes the first letter of each term in the list and creates another word starting with that letter, then ties those words together into a sentence. In this case, you could use the acrostic sentence "Queen Rachel Hopes Every Coward Gains Courage" as a mnemonic. Students who memorize this sentence can go through it one word at a time to remind themselves of the steps and the correct order. Here's one more example. Let's say you have something you want your students to remember that has more pieces or steps to it than the scientific method. For long lists of items, especially if they need to be remembered in order, either the memory palace technique or the pegword technique would be your best bet. Let's say you are a high school History teacher teaching the Bill of Rights (the first ten amendments to the U.S. Constitution), and you want to create a mnemonic so that every student remembers all ten amendments effortlessly. One good way to approach to this task would be to first teach your students the memory palace technique (also called the method of loci) if they don't already know how to use this. Using the memory palace technique, each student would then vividly visualize a place they know well (most people use their own houses). Next, they would take the first item from the list and create a visual for it while "placing" it in a specific spot within their visualized location. A good approach is to mentally "walk through" the location, placing the created visuals along the way. In this way, you are remembering a list of visuals tied to particular places, but also remembering a narrative of you walking through the location in a particular sequence. These approaches (visualization and story) are both powerful memory approaches. In this case, a student would take the first item on the list (the first amendment, freedom of speech) and tie it to a location in his visualized location. Let's say he turns "freedom of speech" visually into a set of those wind-up teeth that open and close when you wind them up and hangs that set of teeth on a peg on the back of the door when he first "walks" into his "house." Next, he takes the second item (the second amendment, the right to keep and bear arms) and turns that into a gun that he then sets on a table in the foyer. The next one is a bit trickier. The third amendment says, "no soldier, during a time of peace, shall be quartered in a house without the consent of the owner." So, our student might visualize a soldier standing a little way into the living room. When the student sees the soldier, he points to the door, and the soldier walks out of the house. See how it works? Since each student will be using a different mental location and creating unique visuals, each memory palace will be unique, but they will all capture the gist of each of the amendments while retaining the correct order. I can virtually guarantee that, if you do this, your students will all score 100% on the test. So, the key here is choose mnemonic strategies that fit with the kind of data or ideas you want your students to remember. Sometimes you can create the mnemonics for them in advance (which saves class time), and other times, as in the last example above, you will need your students to create the mnemonics, which works really well but takes more time. The third step of the process is to actually teach the mnemonics. First, obviously, you need to have built into your unit plan the time necessary to teach the mnemonics you've created (or for your students to create them). You can't skimp here. If it takes fifteen minutes for everyone to get the mnemonic committed to memory, you need to assign fifteen minutes to the task. No ifs, ands, or buts. If it's really important that they learn this material and be able to retrieve it later, it's worth taking the time necessary for them to get it. The most important thing I need to say about teaching the mnemonics is this: you must first teach the material well! Mnemonics are an add-on, not the primary way you teach something. So, teach the material well, in the most engaging way you can first (so your students create a solid initial encoding of the material), then teach them the mnemonic. Later, when they use the mnemonic to retrieve the material, they will retrieve good, solid material (not just remember the mnemonic). I have always found that the best way to teach the mnemonic is to have students pair up and practice together, then quiz each other. Once everyone thinks they have it, have the students move to find another partner and requiz. Finally, have volunteers share out to the whole class. If they can recall it under the pressure of their peers watching them, that usually means that they have it. Of course, like anything else you teach, you will want to return to the mnemonic several times over the first few days after teaching it to requiz everyone on it. This will help solidify the mnemonic in their minds. If you haven't yet started using mnemonics in your class, it's time to give it a go. I know that some teachers view mnemonics as "gimmicks," but that's not correct at all. There is very solid research behind the use of mnemonics, and they work like magic. This is one strategy we need to be using much more than we do! Willy Wood is an educational consultant and expert on how the human brain learns. He is the co-author of The Rock 'N' Roll Classroom: Using Music to Manage Mood, Energy, and Learning ( http://www.amazon.com/The-Rock-Roll-Classroom-Learning/dp/1412999766 ) and publishes the e-newsletter, Neuro News. You can contact Willy at teachingthatsticks@gmail.com.